MSE Creative Consulting Blog: "So, Did the Secret Service Wrestle the Tornado to the Ground!?" "So, Did the Secret Service Wrestle the Tornado to the Ground!?" I've been waiting years to write that headline and finally, it is appropriate. 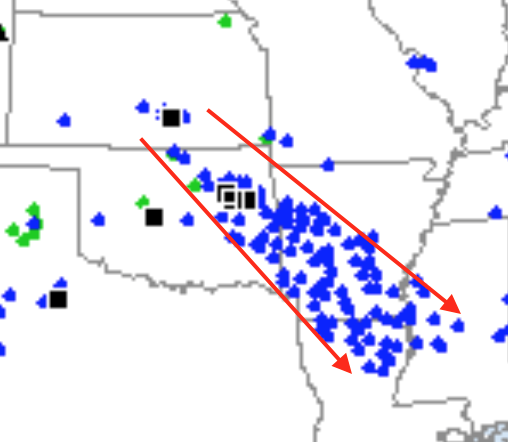 According to the Capital Weather Gang, the tornado sirens rang out as the derecho moved through central Arkansas producing a gust of 68 mph. The storm began near Wichita earlier in the day when it caused an 81 mph at Eisenhower National Airport. The story of ex-Presidents and other dignitaries in the basement is covered by Jason Samenow, here. 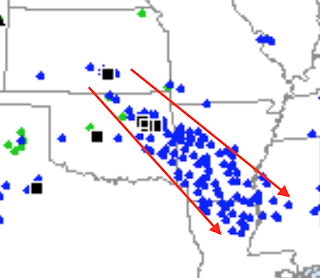 The derecho (path between the red arrows) caused more than a million people to lose power.